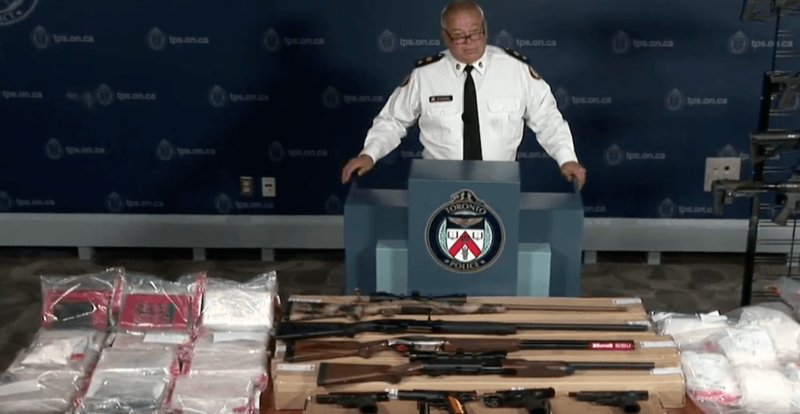 According to police, in February 2018, members of the Toronto Police Organized Crime Enforcement – Toronto Drug Squad started an investigation into an illicit drug distribution network operating in Toronto and the surrounding area. Police say that two groups were receiving cocaine and heroin that was being imported into the GTA from the US. On June 25, with the assistance of the Toronto Police Asian Organized Crime Task Force and law enforcement partners from the RCMP, CBSA, OPP, York Region, and Peel Region, four people were arrested and are now facing numerous charges. Those arrested are 25-year-old Lorenzo Lam, 35-year-old David Littledale, 31-year-old Trung Duc Pham, and 33-year-old Quynh Vu. On Tuesday, July 17, after further investigation, police arrested 34-year-old Duc Hoang and 33-year-old Myleene Kavalak. Police are now requesting assistance locating 34-year-old Joevannie Peart who is wanted in connection to this investigation. Anyone with information is asked to contact police at 416-808-2500, Crime Stoppers anonymously at 416-222-TIPS (8477) or online at www.222tips.com.